(CNN)On Sunday, President Donald Trump issued a proclamation updating his administration’s travel ban policy to apply American travel restrictions to citizens of eight countries: Chad, Iran, Libya, North Korea, Somalia, Syria, Venezuela and Yemen. As with two earlier versions of the travel ban, this most recent version would not have prevented a single death from jihadist terrorism in the United States since 9/11. According to research by New America, 13 militants have committed an act of deadly violence inspired by jihadist ideology in the United States since 9/11. None of them came from any of the total of 10 countries that have been included in the three iterations of the Trump administration’s travel ban. 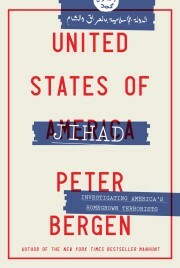 Of the 13 lethal terrorists, eight were born in the United States, and all 13 were citizens or legal permanent residents of the United States at the times of their attacks. Nor would the travel ban, in any of its forms, have prevented the 9/11 attacks, which were carried out by 15 Saudis, two Emiratis, an Egyptian and a Lebanese citizen. None of those countries are among those listed in the travel ban. Sunday’s order added Chad, North Korea and Venezuela to the list of countries facing travel restrictions while dropping Sudan, which had been covered by a previous version of the ban. The terrorist threat in the United States is an overwhelmingly homegrown phenomenon. Eighty-five percent of the 418 militants charged with terrorism-related crimes in the United States since 9/11 are citizens or legal permanent residents, and just under half were born American citizens. A US Department of Homeland Security report leaked earlier this year shows that the department itself came to the same conclusion when it considered which citizens of which countries posed a threat. The report stated that citizens of the original travel ban countries were “rarely implicated in U.S.-based terrorism,” an assessment that’s quite unlikely to be changed by the inclusion of Chad, North Korea and Venezuela. The new travel ban portrays the selection of banned countries as the result of a review process around the world that identified these countries as having insufficient security measures or that are unwilling or unable to cooperate with the United States on security. However, the Trump administration has given little reason to trust its review process or assessments when it comes to the travel ban and immigration policy. The first travel ban in late January was rolled out in a rush that met with legal challenges and caused disruptions at airports. Since that first rollout, key White House policy adviser Stephen Miller has cited misleading statistics on the number of terrorists from travel ban countries in which he included non-terrorism cases and individuals who had never set foot inside the United States before their extradition for trial on terrorism charges. When the administration rolled out its second version of the travel ban, the Department of Homeland Security provided as justification the case of Mohamed Osman Mohamud, who was convicted of plotting to attack a Christmas tree lighting in Portland, Oregon, in 2010. While Mohamud was born in Somalia, his case does not support the travel ban. He came to the United States as a young child more than a decade before he became radicalized here and carried out his plot — and it was his father who provided the tip to police regarding his militant activity. It is possible that the DHS review revealed real insufficiencies in the listed countries’ security measures that required reforms. However, given the administration’s rushed efforts to implement previous versions of the ban and its misleading defenses of the ban, it seems plausible that the administration crafted a process to add two non-Muslim majority countries to the ban so as to shore up its legal defense when the US Supreme Court takes up the question next month of the president’s authority to issue such a ban. The two non-Muslim countries were easy additions to the travel ban. After all the number of North Korean visitors to the United States is negligible. Similarly, the Venezuelan ban only affects a number of the country’s diplomats and their families. Try as his advisers might, the shadow of that initial motivation hangs over their attempts to craft a ban that meets legal scrutiny.